C L Promotions are THE Umbrella company! We can offer you the best prices, best quality and most importantly, simply the best umbrellas! We have all the umbrellas here you can think of. 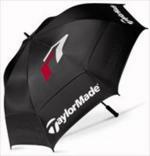 From tiny, handbag sized umbrellas to massive golfing umbrellas, all branded up with your business details and company logo. So contact your Umbrella Company today! Fill in the contact form or call 01989 780727 and we'll be happy to advise! Many more personalised items from the number one umbrella company click here. So have your company details a head above the rest and advertise your business details with our Umbrella Company today!